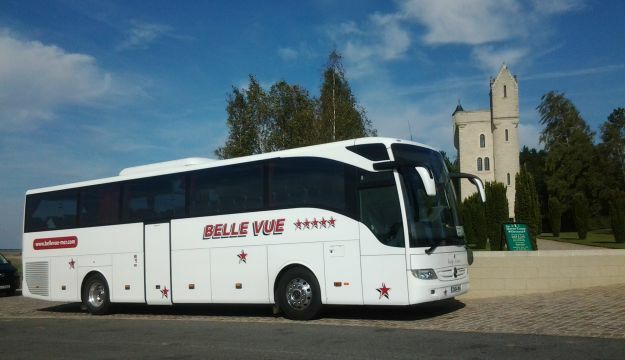 Established in 1996, Belle Vue offers services to schools, holidaymakers, corporate and social groups via a fleet of executive coaches, minibuses, standard and vintage coaches. The family-run business travels locally, nationally and as far as Northern Europe, and prides itself on the service its 76 employees offer. In order to keep up to date with the latest technology, Belle Vue took steps to invest in five new Mercedes Benz Tourismo coaches. This executive 49-seater model, which is an industry-leading coach, includes air conditioning, reclining luxury seats and an on-board toilet. To fund the acquisition of these five new coaches, Belle Vue turned to its funding partner Lombard to obtain a hire purchase facility worth around £838,000. Lombard also introduced Belle Vue to the Government’s Regional Growth Fund (RGF) which provided 10 per cent towards the cost of the coaches. Lombard’s funding, together with the RGF contribution, enabled Belle Vue to purchase the vehicles – extending its fleet to 65 – and gives the business additional equity while maintaining the company’s cash reserves. The Government’s contribution enabled Belle Vue to invest in more coaches than they otherwise would have been able to, purchasing five coaches rather than three and driving growth at a more rapid pace. The new coaches are more cost effective thanks to fewer repairs being required and better fuel efficiency. Belle Vue expects to see a saving of £45,000 per annum on the new vehicles. Increasing the fleet also means that Belle Vue has the capacity for more contracts as well as attracting more corporate clients. This is part of the company’s plan to double its turnover – which currently stands at £3 million – in the next two years. A more immediate impact is the safeguarding of 10 jobs and the creation of an additional 10 positions. Phil Hitchen, Managing Director at Belle Vue, said: “We automatically go to Lombard for support with these types of purchases and the introduction to the Regional Growth Fund helped us to invest in five coaches instead of three. This means we get a better deal with the supplier as well as growing business faster.